I have Gone Stark Stamping Crazy! 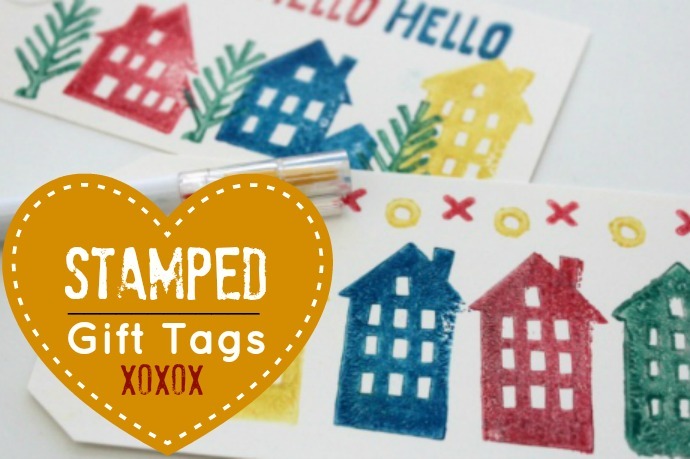 | Life Love and Hiccups: I have Gone Stark Stamping Crazy! In my opinion there is nothing nicer on a rainy day than tucking yourself away somewhere cosy and putting your arty farty duds on. OK burying my face in a bucket full of prawns and a platinum credit card that I do not have to pay off is probably classed as nicer, but beggars cant be choosers and all that. 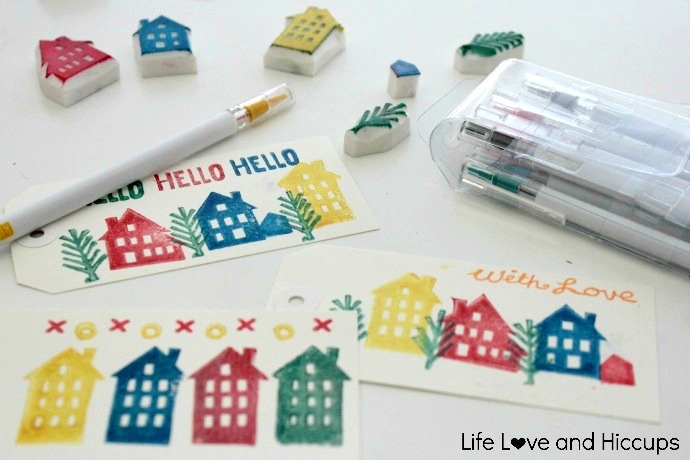 Recently I discovered this cute little Etsy store that sells the most gorgeous stamps. I have no idea how I ended up there. You know how you are just clicking away on the Internet following one link that leads to another etc etc? Yep that! But whoever was responsible for leading me to the Talk To The Sun store on Etsy - thankyou! Now anyone who is crazy enough top say that paints and stamps are just for kids, needs to be grabbed by the shoulders and shaken .... in a gentle but persuasive manner. I am having an absolute ball making up little gift tags, covers for notebooks, wrapping paper and just generally going crazy stamping anything in my way. 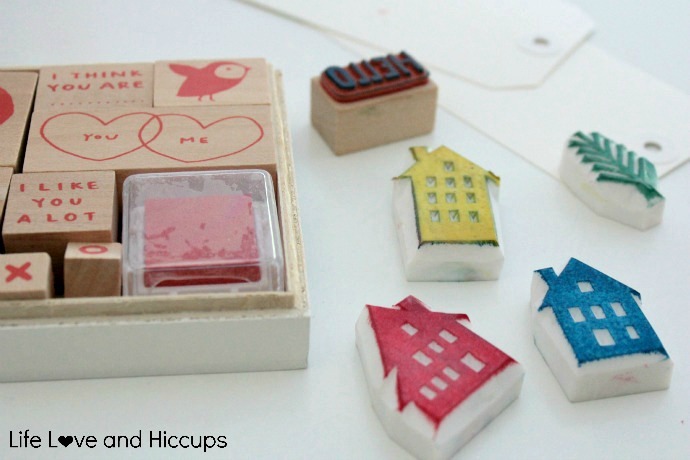 It's oddly therapeutic and who could resist making little villages out of these gorgeous little houses! 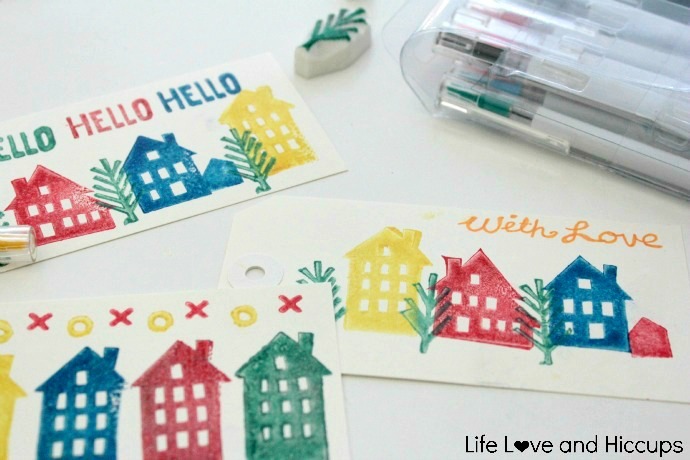 I have been so inspired but the gorgeous work of Riyo from Talk to the Sun, that I have even ordered myself some stamp blocks and lino cutters to have a go at making some myself. Yes I have the stamp bug THAT bad! 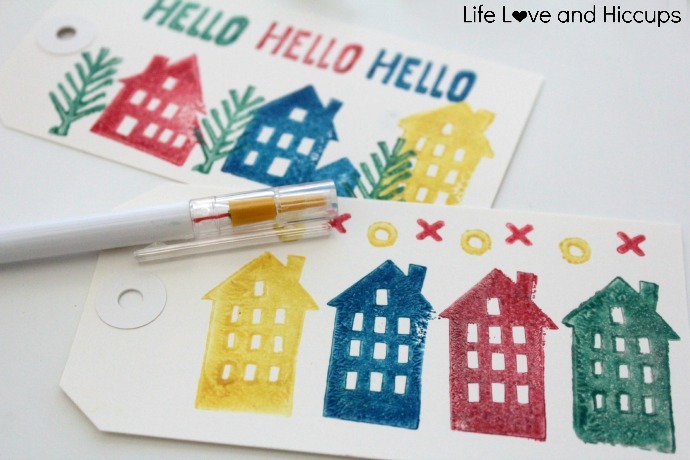 So if I may now be excused, I have some children that would look absolutely adorable stamped all over in little colourful houses.